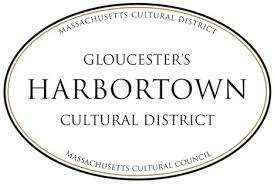 The Gloucester Cultural Council plays an essential role in creating, fostering, and maintaining a rich cultural life in the City of Gloucester for both the present and future. The Gloucester Cultural Council is invested in maintaining the vibrancy of the City of Gloucester in a myriad of ways including securing grant monies to provide funding to City schools, organizations, artists, and other community members. Funding helps to promote education and diversity in the arts and humanities and contributes to the City's vitality and economy. The City of Gloucester is blessed with a strong cultural history rooted in the arts. The City has been home to world-class artists, sculptors, playwrights, architects, dancers, musicians, and many more. With Gloucester being home to the oldest art colony in the United States, the City is able to keep the cultural history alive through education, programs, and initiatives that enrich the community for both residents and visitors. The Cultural Council is committed to continuing to uphold the City's rich, vibrant, and historic value for generations to come. By fostering the cultural wealth and diversity of the City, the Council also helps drive growth and opportunity for the area. The Gloucester Cultural Council has at least 5 members, each serving a 3-year term. Pursuant to Mass. General Laws, no member can serve more than two consecutive terms. Nelson Dorothy 42 Mt. Pleasant Ave.